An investigation of a late-19th-century crime in which a 13-year-old boy murdered his mother. Ms. Summerscale has found a nifty literary specialty: resurrecting and reanimating, in detail as much forensic as it is novelistic, notorious true-life tales of the Victorian era ... Enjoyable as an atmospheric tale of crime and punishment from a distant era written in lucid, limber prose, The Wicked Boy also implicitly raises questions that remain with us today ... Ms. Summerscale’s easy mastery of what turns out to be a complicated, at times surprising narrative drives the book forward. [Summerscale] expertly probes the deep anxieties of a modernizing era. Even better, she brings rare biographical tenacity and sympathy to bear. She follows Robert, spared the gallows, out of the spotlight and into a lunatic asylum, and then into the horrors of the First World War and beyond. 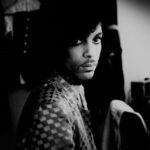 The real skill of the book is its blend of well-researched historical context and telescopic personal and domestic detail ... The facts and dialogue are reported with restraint, sensitivity and a real intuition for the questions that she knows will be asked. Ultimately, the narrative is an exploration of Victorian attitudes to juvenile crime, and this pacy slice of social history acts as both hawk-eyed prosecution and gentle defence. 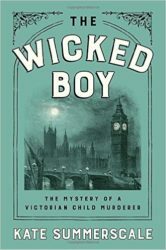 What did you think of The Wicked Boy: The Mystery of a Victorian Child Murderer?